On August 4 (a Saturday evening), the Suchy family played the Bohemian Hall, this just south of Mandan, North Dakota on Highway 6. According to Chuck Suchy (a Bohemian Hall specialist) music has been played at this venue since the building was put up. 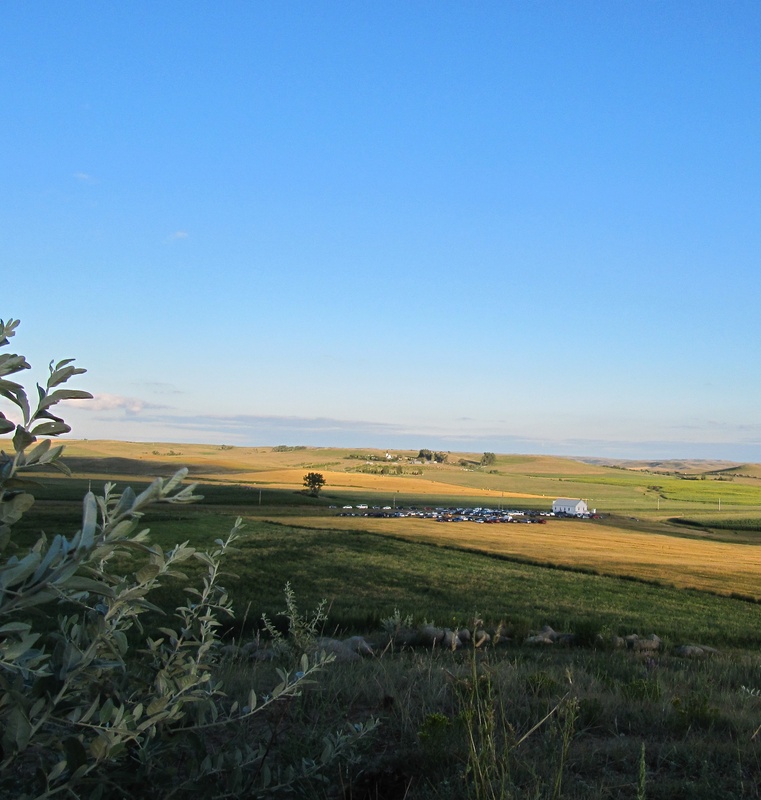 For a deep history on this theme, check out Willa Cather’s My Ántonia. At least I couldn’t stop thinking about how these sorts of novels strike at the heart of cultural truths. 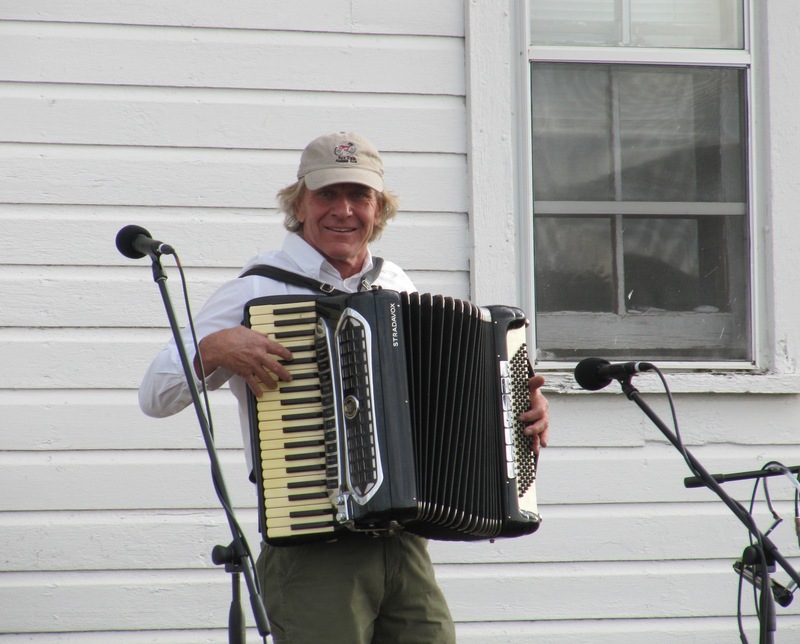 Chuck Suchy ripping it up with accordion on the north elevation of Bohemian Hall. When sitting there listening to Chuck belt out according licks in front of the north elevation of a historic prairie building called Bohemian Hall, the mind wanders through time. Pretty soon you have what in the business we call that “sense of place.” Tall corn fields to the southwest and cut wheat fields immediately north of that. Just to the east is a small village and a rehabilitated church. The shadows get taller as the music plays on and the sun sets in the west. There were two just-off-the-boat Czechs in the audience. The remaining Bohemians (at least the performing musicians) were just a generation or two removed. This hall means something to the Suchy family, and pretty much to anyone that has come within its range. It means something because we’ve decided to make it mean something. We didn’t wait for a financial analyst to come in and tell us whether it would be viable or not (but I suppose one might be handy when it came to crunching numbers about how many pulled pork sandwiches to supply). We gather around because we want to do this. Bohemian Hall is the white building center-right in the photo. This view looks to the east-southeast. The Suchy family not only captures the exact identity of what it means to be Bohemian artists, but they are in fact reflections of it to the core. We associate art and music with ethnic Bohemians because of families like this. 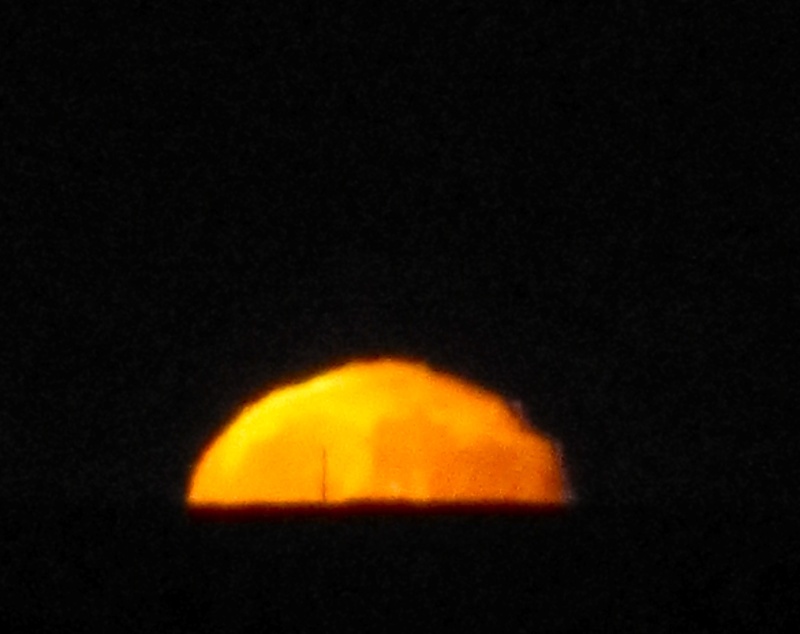 During the final couple songs, the late evening gave way to night, and a burning moon rose up out of the prairie. The weather was remarkable on this evening. No wind (which is unusual for the Plains) and temps that required a light jacket. A horse whinnied during one of Chuck’s tunes, and toward the end of the entire set a burning moon rose up out of the prairie. This entry was posted on Sunday, August 5th, 2012 at 11:35 am	and posted in Uncategorized. You can follow any responses to this entry through the RSS 2.0 feed.